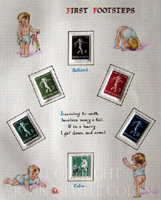 Watercolour Paintings by Richard Hillman (a Good Friend). 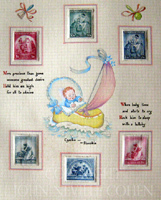 Please click on any picture below to see a larger picture. 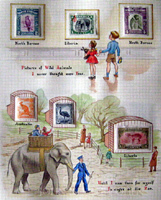 to see the next picture, or the left side, to go to the previous one. 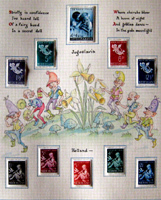 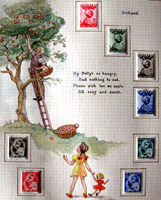 My late father George Cohen having enjoyed postage stamp collecting for a number of years, came up with this very original and different idea, having realised how his friend the late Richard Hillman could paint such wonderfully detailed paintings. 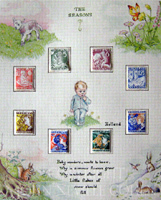 Richard had painted, just for fun, a copy of one of Dad's mounted stamps so perfectly, that it was only when one tried to lift a corner that one discovered that it was not a real stamp! 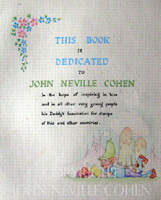 He used at times, a single haired brush to achieve the finest of detail. 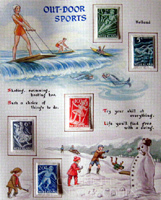 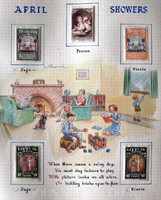 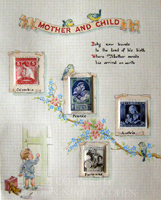 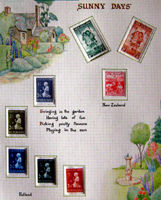 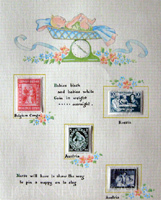 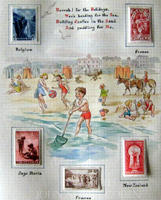 Richard and George in due course created some wonderful original and unique stamp album collections, Such as 'The Coronation Series', The 1935 Silver Jubilee Series', Egypt and several others. 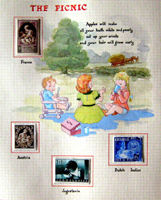 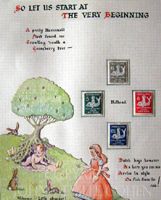 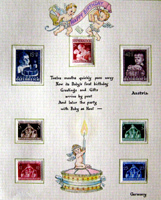 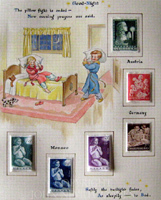 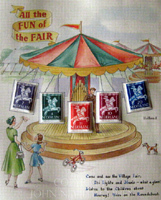 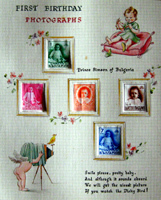 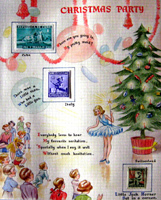 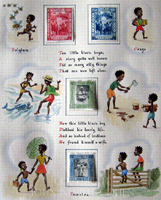 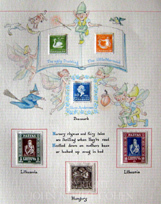 Later, together with my late mother Betty Cohen (around 1948 when I was eight years old), they worked on ideas for this album 'Postage Stamps for Little People' that was dedicated to me. 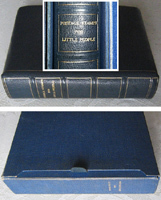 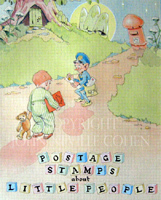 Stamp Collecting, Postage Stamps for Little People, George Cohen, Betty Cohen, Richard Hillman, Postage Stamps, Collecting, Stamp Album.